Use to bond a broad range of materials. 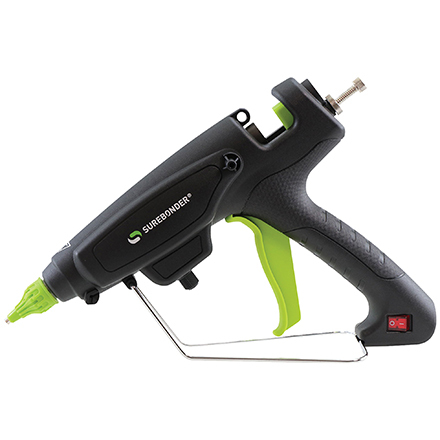 GL4080 – Up to 2.5 pounds of adhesive per hour. Heats up to 380° F.
GL4200 – Up to 7 pounds of adhesive per hour. Heats up to 380° F.
220° F. - 400° F.
GL3MLTCQ – Up to 3.5 pounds of adhesive per house. Heats up to 385° F.
Low melt sticks allow for application at 265° F. Hot melt sticks are applied at higher temperatures of approximately 375° F.